The crouching beast is carved with bushy tail and rounded ears, its hind legs tucked underneath its body. 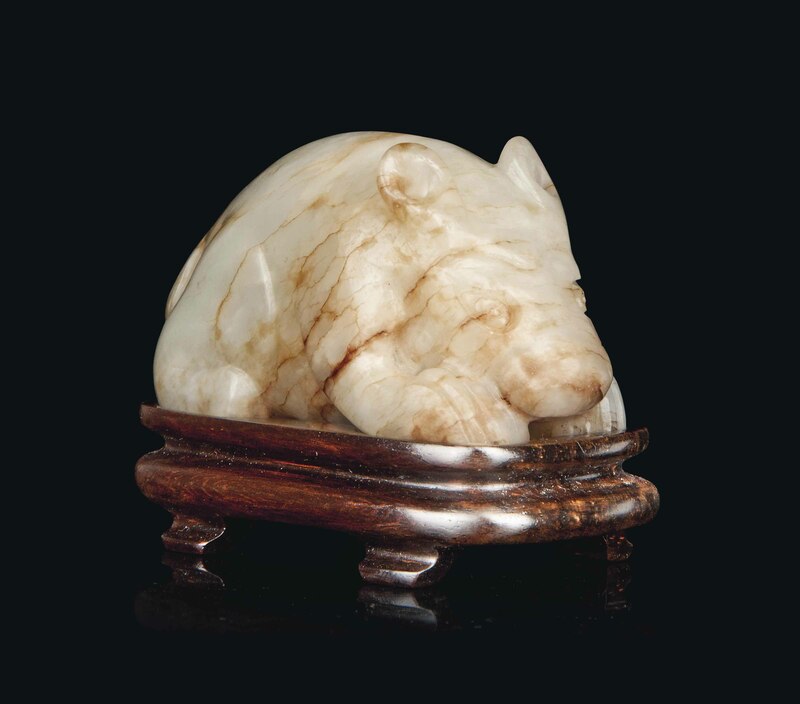 The stone is of a pale celadon tone with russet veins and inclusions. Acquired on 18 June 1983 in Hong Kong.